Large number of angry protestors came out at National Highway 102 today morning and block road protesting against the alleged extra judicial killing of Md. Abdul Gafar @ Sahit (36 years) son of Babu Macha of Lilong Usoipokpi Makha, after he was allegedly pick up combined team of 20AR and Thoubal District Commando. A protester talking to media said that Md. Abdul Gafar is a civilian and had been living life by working as Auto driver. He was picked up at around 2am today by combined troop of CDO and AR from his residence at Usoipokpi Makha. He was later found this morning at JNIMS Morgue. He is survived by 5 children – 2 daughters and 3 sons. As per statement of the deceased wife the security force did not provided any arrest memo at the time he was picked up. Local protester threatened intense agitations if those involved in the killing of Md. Abdul Gafar are not punished as per the law of the land. The memorial stone of Meshangkhum Makunga Maring, a revered Maring figure has been unveiled today at Laiching Meipou village, Pallel in Chandel district. The memorial stones were unveiled by MNBA Finance Secretary Rev Y.Modarshim Makunga Maring and Moderated by T.Kobin, Church Secretary LMBC. Social Activities of (L) Meshangkhum Makunga Maring are Laiching Meipou Village Mantri Since 1957 till his last breath, Executive Member of Maring Racial Association 1954-1964, Committee of Maring Naga Market of Khangshim Bazar in 1971-1975, Executive Member of Uparap Maring Naga Assembly 1973-1975, Committee Member Electoral Revision Protest Committee 1981, Maring Naga Tribe Representative invited to New Delhi 26th January 1979 & Representative invited at Imphal for The Republic Day Celebration in 1990 and Representative of Maring Naga Tribe at Panchayati Raj Samelan at Kolkata Salt Lake, etc. President of Maring Uparap Assembly (MUA) L.Modun Charanga talking to reporter, always a Proud moment in the life of Late Meshangkhum Makunga one of the pioneer of the Maring Uparap Assembly who dedicate and rendered relentless services for the welfare of the Maring Tribe. He was a true social worker, love to help people, always think for Society Development. During the programme, local Pastor Mr.D.Kodang released a souvenir and family member of (L) Meshangkhum Makunga Maring delivered a short speech. The programme was also attended by Founder Secretary of SEMCO Rev.W.Roel, President of All Laiching Action Committee T.Kothang and Chairman of Laiching Meipou Village Authority Ch.Angdar. Saying so, it would be wrong to advocate a free speech from any individual or freedom of press without limit as legitimate. In democratic India a breached of privilege for some individuals or groups by any mass media can be challenged, but taking the law in hand to stand up or protest against any trespassing to individuals or groups is rather a sign of lawlessness. Manipur is one of the states in northeast India. It is bounded by Nagaland in the north, Assam in the west and Mizoram in the south. It has a total area of 22327 sq.kms. Geographically, the state could be divided into two regions, the hill and the valley. The valley lies in the Central part of the state and the hills surround the valley. The villages in the hills have their own system of administration since ancient times. In every village there was a village chief assisted by his councilors. The chief and his councilor constitute the village council. The village council was responsible for the overall administration of the village. With the introduction of democratic institution in the country and the merger of Manipur state into the Union, new measures for the hills with a view to initiate peoples’ representation at the grassroots levels were taken up. For the purpose of administration all the hill villages were grouped into circles and sub-divisions. For each 20 tax paying houses Village Authority was constituted comprising the chief of the village with his councilors. Even today the chief and his councilors play a crucial role in the administration of the village. Village Authority, Hill Areas of Manipur, Hmar Villages, Pherzawl District ,Manipur(Village Authorities in Hill Areas) Act, etc. 1. To highlight the historical background of the Village Authority in the hill areas of Manipur. 2. To study the Manipur (Village Authority in Hill Areas) Acts. 3. To highlight some of the changes brought about by the Manipur (Village Authority in Hill Areas) Acts in the old traditional local bodies. 4. To understand the working of the Village Authority of the Hmar villages in Pherzawl District. During the pre- independence period, the tribal societies of North-East India in general and Manipur in particular had their own traditional administrative systems. They have evolved it over a long period of time and maintained and preserved it throughout the ages. It effectively served as the system through which law and order of the society was maintained. However, the system of administration among the different tribes differed from tribe to tribe and from region to region. According to V.VenkataRao the authoritarian type of institutions existed among the Chin-Mizo-Kuki group, the Singphos, the Khamtis, the Riangs, etc. The republican type existed among the Morpas, the Akas, the Tangdas, the Adis, the Angamis and the Nagas of Manipur. In the past, the Hmars also had evolved, over a period of time, an administrative system of their own, well developed and having its own peculiar features. The chief and his councilors constituted the village council.The village council was also the village court. Justice was dispensed with under the roof of the chief where the council met. The judicial power of this court extended to the entire village. Cases were tried and decided according to the customary laws. During the British rule, most of the tribal chiefs in the hill areas of Manipur continued to enjoy the same powers as they had enjoyed earlier. This was mainly because of the fact that the British themselves were not interested in making direct interference into the day-to-day affairs of the tribal people. Their administration in the Hill was confined mainly to the survey of the land, introduction of house tax, creating a small bureaucracy to look after their interest in the Hills, development of the means of transport and communication in accordance with the requirements of their interests, opening of a few primary schools, etc. The year 1947 witnessed the introduction of the Manipur State Hill Peoples, (Administration) Regulation Act, 1947. It became effective from 10th August 1947. From this date the responsibility for the administration of the Hills got transferred to the Maharaja-in-Council. The Regulation read: “The responsibility for the administration of the Hill people is vested in the Maharaja-in-Council and shall be exercised in accordance with the Constitution Act of the State and the provision of this regulation as amended from time to time”. For the purpose of administration all the hill villages were grouped into circle and sub-divisions. For each 20 tax paying houses a Village Authority was constituted comprising the chiefs of the village with his councilors. 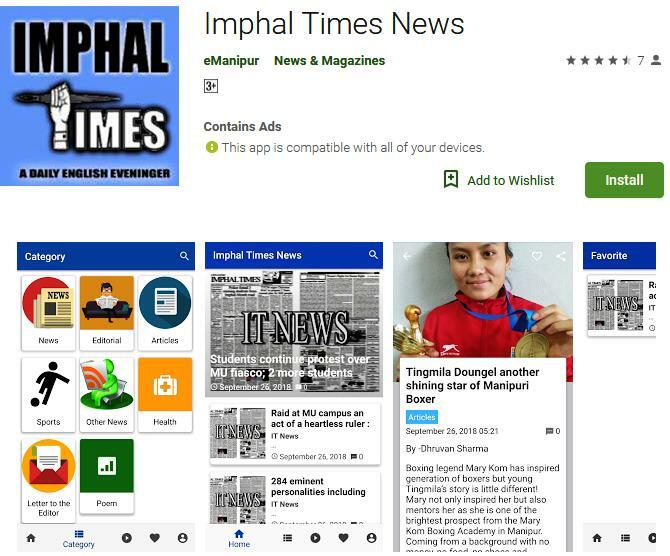 Besides, Manipur (Village Authority in Hill Areas) Act has been passed by the Manipur State government from time to time which brought certain changes in the traditional local bodies in the Hill Areas of Manipur. Once Manipur became Part C State of the Indian Union, new measures for the Hills with a view to initiate people’s representation at the grass root levels were taken up. First of all there was the Manipur (Village Authorities in Hill Areas) Act, 1956. The Act for the first time introduced election of the members of the Village Authority on the basis of adult franchise by repealing the Hill People’s Regulation of 1947. With the passing and enactment of this Act, the village chief remained the ex-officio Chairman of the Village Authority. But the Village Authority members were to be elected by the villagers for a term of three years which was later extended to five years by the Village Authorities in Hill Areas (Amendment) Act, 1984. The Act of 1956 further provided that the Chief Commissioner (Administrator) may appoint two or more members of the Village Authority to be members of the village court during their term of office. The village court was to be presided over by the chief if he is a member of the court. If not the court was empowered to elect its own president. The village court could try cases upto the value of not exceeding five hundred rupees only. It could also impose a fine not exceeding two hundred rupees or could imprison a person for a term not exceeding one month to the defaulter. But in practice, the Village Authority under the chairmanship of the village chief constituted the village court itself and the administrator had never appointed any member of the Village Authority as the chairman of the village court. Except the election of the Village Authority members for a specific term, the other provisions of the Act were never made operative and the Village Authority under the chairmanship of the village chief used to decide all sorts of cases brought to them by the villagers. In 1996 a bill known as “The Manipur Hill Areas (Acquisition of Chiefs’ Rights) Bill 1996" was introduced in the Manipur Legislative Assembly. The objective of the Bill was to acquire the rights and privileges of the chiefs who had been enjoying them under some specific customs which gave them various privileges. Another objective of the Bill was to introduce land reforms with a view to distribute land to the tiller. Though the State Legislative Assembly passed the Bill, due to oppositions from tribal leaders the State Government still has not yet enforced this act. Besides, the Government also passed the Manipur Hill Areas Bill from time to time to curtail the power of the chief but due to opposition from the tribal people it cannot be implemented effectively. After 70 years of India’s Independence, there are still many villages in the Hill Areas of Manipur which have to fend for themselves in times of any eventualities. In most of the Hmar villages in Pherzawl District there are neither police forces nor government officials posted there in the village to take up immediate action. The MLAs, MPs and members of the District Council hardly visited these villages. As such, whenever there is a crisis in the village, they are in the forefront trying to solve the problems. They also continue to play a leading role while organizing rituals connected with death or when a community work is organized. Thus, the role of the Village Authority is of utmost importance in the maintenance of law and order in the village. The Manipur (Village Authority in Hill Areas) Act, 1950 provides for the establishment of the Village Court. However, there is no separate Village Court to be found in the Hmar villages of Pherzawl District. The Village Authority is the Village Court. No doubt, there are some people who approach the court (Judiciary) to settle disputes but there are still many people who are in the interior parts of the state who goes to the Village Authority to settle their disputes. Since time immemorial, in the Hmar society cases were tried and decided according to the customary laws. The customary laws governed all criminal and civil cases including murdered. It must be noted that generally the laws concerning civil and criminal aspects of disputes were enforced by the Village Authority while personal laws such as relating to marriage, divorce, inheritance, adoption, etc. were normally administered by the elders of the concerned clan. However, the administration of the personal laws was also referred to the village court when things became complicated and could not be settled by the elders of the concerned clan. The party who lost the case had to pay a fine to the Village Authority known as salam which was normally in the form of a pig.The usual way of sharing the salam was to arrange a feast for themselves. Regarding inter-village disputes, the Chiefs of the concerned villages used to sit together and decide the dispute together as mentioned earlier. After independence, many Development Programs were started in India like Community Development Program, Integrated Rural Development Program, etc. Normally these programs were implemented in the village through the Village Authority. Usually the government entrusted the Village Authority to identify and select beneficiaries under poverty alleviation schemes. They are also entrusted to review all the developmental works within the village and report to the Block Development Officer. Along with their role in the identification of beneficiaries for development programs, they are to formulate and supervise village developmental schemes; help governmental agencies in carrying out developmental works in the village, receives grants-in-aid, donation, subsidies from the government or any other agencies; to provide security for due payment of loan by any permanent resident of the village from the government; to enter into any, loan agreement with the government, bank or any financial institutions. Another important function of Village Authority is to constitute Village Development Committee, a statutory body to assist the Village Authority in executing development policy program. Through their membership in the Village Development Committee, they are suppose to oversee the identification and selection of beneficiaries under the various scheme meant for rural development and ensured proper implementation of various programs of the Central and State Governments. The village Authority in the Hmar villages of Pherzawl District plays a very important role in the administration of the village. But when we compare with the Village Council in pre-independence period we can say that it has less authority over the people. During the pre-independence period, the village council headed by the chief and his councilors were very powerful. Chieftainship in those days was hereditary. The chief would appoint anyone of his choice from his villagers to be his councilors. In fact, the chief was the fountain head of all powers. All executive, legislative and judicial powers were vested in the chief along and his councilors. Besides, the chief enjoyed a number of privileges. Some of these privileges were: Busung (paddy tribute), Sadar (one foreleg of any four-legged animal killed), Khuoizu (honey collected), LalThaphut (compulsory labour to be rendered by the villagers to the chief in time of constructing his house as well as for carrying out other community tasks), Chisung (salt tax), Ran man sung (a certain amount of the price of an animal sold to be paid to the chief), etc. The Hmar chief thus enjoyed various privileges. In this regard Prof. Lal Dena notes: “the rights of the chief to these services was infact the foundation of his political power and his accumulated wealth enabled him to command the respect and loyalty of his own clan or tribe and other clans or tribes conquered”. The new administrative changes introduced since 1947 onwards have brought about significant changes in the traditional administrative system of the Hmars and the authority structure inside it. Under the Manipur Hill People’s (Administration) Regulation of 1947, all the members of the Village Authority were nominated according to the prevailing custom. However, under the Manipur (Village Authorities in Hill Areas) Act, 1956, this custom was axed to a large extend. Under the Act of 1956, the chief got exemption from the election to the Village Council as he was made the ex-officio Chairman of the Village Authority. But for other members, they are to be elected by the villagers on the basis of adult suffrage. The election of other members of the Village Authority resulted in increased significance of the other members of the Village Authority. The village chief now cannot be expected to have as much power and control over the Village Authority members as they used to have earlier over the Village Council. Another significant change brought about by the new developments is that though there is no specific provision in the Act for the discontinuation of payment of the traditional chief’s share like busung, sadar, khuoizu, etc., people in most of the of the Hmar villages in this District have stopped such payment to the chief. Now-a days all the members of the Village Authority are like unpaid servants of the Government functioning in the traditional way. They could no longer enjoy the privileges which they enjoyed earlier. Because of their weak position they are unable to perform their work effectively. This has created many problems while trying to secure proper administration, proper maintenance and utilization of the village resources. The Village Authorities in the Hmar villages of Pherzawl District continue to performs numerous role in the village like distribution of land for jhum cultivation, maintenance of law and order, administration of justice, implementation of various Development Programs of the Government, etc despite changes brought about by new developments. It is the Manipur (Village Authorities in Hill Areas) Act of 1956 which has brought certain changes in the old system. Many other Acts/Amendments have been passed from time to time by the government but due to opposition from the tribal leaders it could not be implemented. Thus, it is the Manipur (Village Authorities in Hill Areas) Act which has brought changes in the old system. This Act provided that the chief would remain as the Ex-officio Chairman of the Village Authority but other members are not to be selected by the Chief but to be elected by the villagers. This has reduced the power of the chief to control the other members of the Village Authority. Besides, the Chief no longer enjoy many of the privileges which he used to enjoy earlier. The members of the Village Authority are now unpaid servants in the village. The need of the hour is to revitalize the existing institution of Village Authority. For example, giving Constitutional Status and renumerationto the Village Authority like that of the Panchayati Raj Institution and Municipality would be an option. To conclude, Village Authority would be given more powers and funds which would enable them to formulate policies and programs for the welfare of the people in the village. Ghori, Gulab Khan: Changing Phase of Tribal Area of Manipur, Delhi: B.R.Publishing Corporations, 1984. Horam, M: Dynamics of Development: ACase of the Hill Areas of Manipur, Manipur Legislative Assembly, Imphal,1998. Rao, V. Venkata: A Century of Tribal Politics in North East India 1874-1974, New Delhi: S. Chand& Company Ltd.,1976. Sanajaoba Naorem(ed.) : Manipur Past and Present, the ordeals and heritage of a civilization, Vol.III (Nagas and Kuki-Chin), New Delhi: Mittal Publications, 1995. Thuomte, H: Hmar Nunhlui(Hmar Culture), Churachandpur, 1997. The Manipur State Hill Peoples(Administration) Regulation, 1947 – Manipur Treaties and Documents, Volume I, Naorem Sanajaoba (ed.). Commentaries on Manipur (Village Authority in Hill Areas) Act, 1956 and &the Manipur Hill Areas Act, 1966 by Daniel Ramsan Advocate, Guwahati High Court. A Handbook of Manipur Hill Village Authority, Law Department, Government of Manipur. Interviewed with the village chief/chairman and members of the Village Authorities of the Hmar villages in Pherzawl District. As part of the series of review meetings planned for different Government Departments, Chief Minister N. Biren Singh chaired a joint review meeting of the Directorate of Trade Commerce and Industries and the Directorate of Handloom and Textiles at Chief Minister’s Secretariat yesterday. Principal Secretary (Textiles, Commerce and Industries) P. Vaiphei presented a detailed account of varied activities, achievements and issues of the two directorates through a PowerPoint presentation at the meeting. Vaiphei said that the State will host the World Bamboo Workshop, 2019 under the slogan, ‘Breaking the challenges of bamboo for a better future’ from February 4 to 8 next year. Chief Ministers of all the North East States would grace the opening function of the workshop, he said. Efforts are being made to revive Jiribam Tea Estate having a total area of 1100 acres. Manipur Industrial Development Corporation Limited (MANIDCO) has submitted an estimate of Rs. 194.10 lakh for boundary fencing of the estate to check illegal encroachment. The Chief Minister instructed the authority concerned to take up immediate steps for boundary fencing and eviction of illegal encroachments. Advisor to Chief Minister Rajat Sethi, who was also present at the meeting, suggested the officials to explore ways to rope in private companies as well in reviving the tea estate. N. Biren Singh asked the officials of the Department to present a detailed presentation of the present status of the Government’s plan on the revival of Loitang Khunou Spinning Mill in the next meeting. He also instructed them to come up with the total project cost, number of jobs to be created by the project, types of machinaries to be used etc. He also directed to convene a meeting on December 29 to discuss the present scenario of Indo-Myanmar trade at Moreh. The meeting will be chaired by the Chief Minister, and high ranking officials from Trade Commerce and Industries, Finance and representatives from Border Trade and Chamber of Commerce, Moreh will take part. Continuing his presentation, P. Vaiphei informed that the State Government has received approval in principle from the Government of India regarding seeking loan from NABARD for the construction of warehouses in Bishnupur, Churachandpur, Ukhrul, Imphal East and Tamenglong Districts. The total project cost is Rs. 3851.13 lakh. The Department has also submitted a proposal for the development of salt springs in the State at an estimated cost of Rs. 12,435.33 lakh. In addition to the existing industrial estates located at Takyelpat (Imphal East District), Tera Urak (Bishnupur District) and Kuraopokpi (Thoubal District), efforts are being made to open industrial estates in all the remaining districts as well with the funds from Union Ministry of Micro, Small and Medium Enterprises (MSME) and North Eastern Council (NEC). Phase-I of the Power Loom Estate developed at Lamboikhongnangkhong having 100 power looms is ready for inauguration. On the other hand, Ministry of Textiles has approved in principle to develop Handloom Park at Thongju in Imphal East District at Rs.9.04 crore. The Chief Minister directed the officials concerned to take up necessary steps to use garments manufactured in the State only in stitching of school uniform from the next academic session. Chief Secretary Dr. J. Suresh Babu, Principal Secretary (Finance) Rakesh Ranjan, Principal Secretary (Sericulture) Vumlunmang Vualnam, Director (Commerce and Industries) C. Arthur Worchuiyo, Director (Handlooms and Handicrafts) Lamlee Kamei, Director (Sericulture), Salam Kunjakishore were also present at the meeting.